The picturesque and historic villages of Goring and Streatley-on-Thames lie opposite each other on the Thames between Reading and Oxford. Both enjoy wonderful countryside and stunning views of The Goring Gap, being uniquely situated within both The Chilterns and The North Wessex Downs ‘Areas of Outstanding Natural Beauty’. Goring Gap in Bloom is the proud recipient of several Royal Horticultural Society Gold Awards and featured in the recent BBC2 TV series ‘Britain in Bloom’. 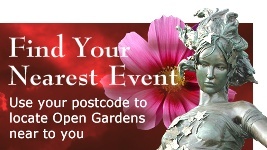 Seven very different and exceptional gardens across the two villages of Goring and Streatley will open their family-friendly gates for an afternoon of pure horticultural pleasure. There will also be a host of fun events, arts and crafts, food and entertainment to enjoy as you wend your way between them. 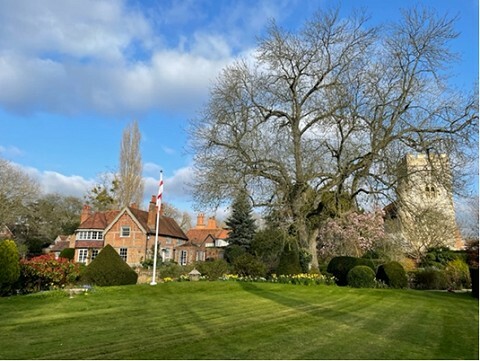 Explore a wonderful walled sanctuary, enjoy the prettiest of cottage gardens, a parkland setting, a riverside oasis, renowned village allotments and jaw dropping terrace views. See for yourself the village house garden featured in the TV episode. Sunday 17th is the GAP Festival Family Day and in celebration of all things exciting, the Open Gardens will include a Quiz and lots of fun along the way. 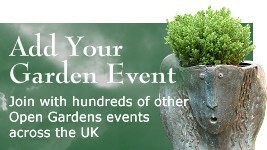 Some gardens will be offering refreshments. Sorry, no dogs please other than assistance dogs. All proceeds to GAP Festival. Some plant and refreshment providers will donate profits to specific charitable causes. Some gardens will be offering plants. 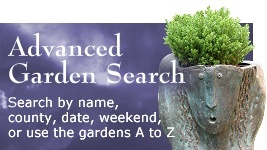 £5.00 per adult for entry into all seven gardens, babes in arms free. Donations appreciated for school age children. Buy tickets at the gate to any of the gardens or from the Festival Marquee on Gardiner Recreation Ground. Please head for Gardiner Recreation Ground, Upper Red Cross Road, Goring on Thames.